Skin Tags – love them or loathe them! Skin tags are small mobile flesh coloured growths & very common at a routine skin check. They are usually 2 to 5mm in size but may be much larger. Skin tags are most commonly found in skin folds around the neck, under-arms, groin and breasts. 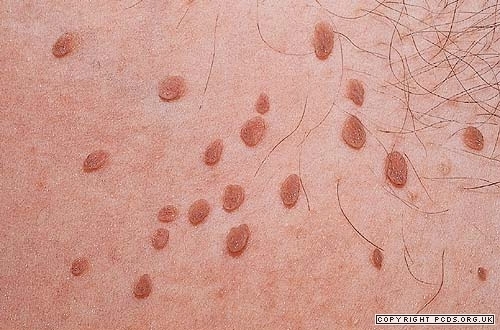 There is a genetic tendency to form skin tags. In addition, they are more common in people who are overweight, perhaps because the skin can chafe in those areas. Unfortunately, some people get lots of them as they get older. Skin tags may also develop during pregnancy. Skin tags are harmless. However, they may cause embarrassment and large ones may catch on clothing. What else might it be? Pedunculated mole – dermoscopy will confirm which it is. Neurofibroma – usually can be pressed in on itself. Seborrhoeic keratosis usually has a stuck-on appearance. When you do this treatment, it’s best to be directed by your doctor as to whether it’s a sensible option. It’s quite common to see people who’ve previously had a go. Assuming it is a skin tag then the worst that can happen is that the lesion doesn’t fall off and becomes inflamed, painful and/or infected – this is unlikely with very small ones on a very narrow stalk/neck. It’s just a question of judgment. What are the usual medical options? Electrocautery – no anaesthetic is required for the tiny ones. Cryotherapy (freezing) – for smaller ones. May cause loss of skin pigment. Surgical excision with local anaesthetic – shave excision with or without cautery, or excision of very large ones by a formal excision with sutures. A large number of smaller skin tags may be treated in one session with shave excision, crotherapy, cautery or a combination of these. 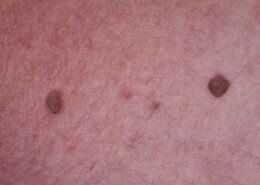 There is a genetic tendency to form skin tags. In addition, they are more common in people who are overweight. 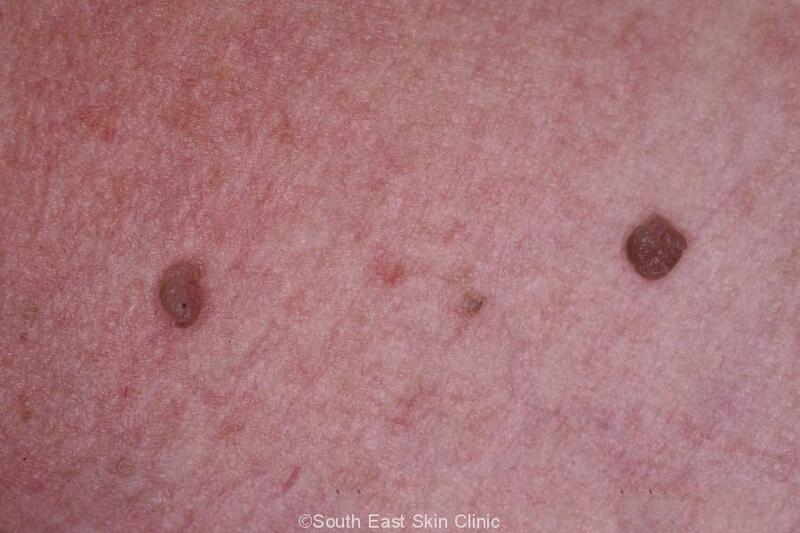 Skin Tags are one of the most common of the ‘good’ lesions.